We are very pleased to introduce to the sleeping range a thermal regulation cover. This technology was originally developed by NASA and has since been developed for other markets. 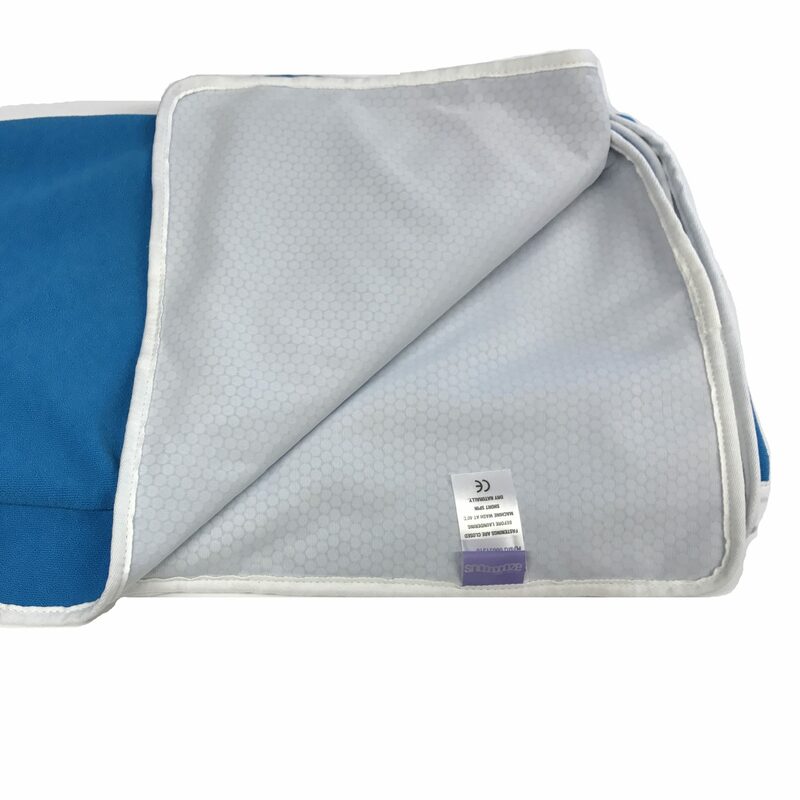 The material keeps the body surface cool and can regulate the body for an optimum temperature, the reverse side is terry toweling for comfort and a feeling of warmth. Finding your optimum temperature is important for a restful sleep and when using a sleep system this adds to the challenge so these regulation covers can provide a solution. These covers are available for a range of Snooooooze equipment and can be found on each of their product pages, we also have a single sheet (2m x 1m) available to buy here. Covers can also be made to order to any size required, please contact us for a quote. This technology, originally developed for NASA, utilises phase change materials (PCM) that absorb, store and release heat for optimal thermal comfort. It is comparable to ice in a drink; as it changes from solid to liquid, it absorbs heat and cools the drink, keeping that drink at the desired temperature for longer, phase change materials work in the same way, but are microencapsulated to be permanently enclosed and protected in a polymer shell. This encapsulation process gives us a durable product that can be incorporated into fabrics which then have the capacity to absorb, store and release excess heat and to continually regulate the skin’s microclimate. As the skin gets hot, the heat is absorbed, and as it cools, that heat is released. It is not wicking technology, which manages moisture by reacting to your sweat and pulling it away from the skin, it is proactive and manages heat while controlling the production of moisture before it begins. This is smart technology.